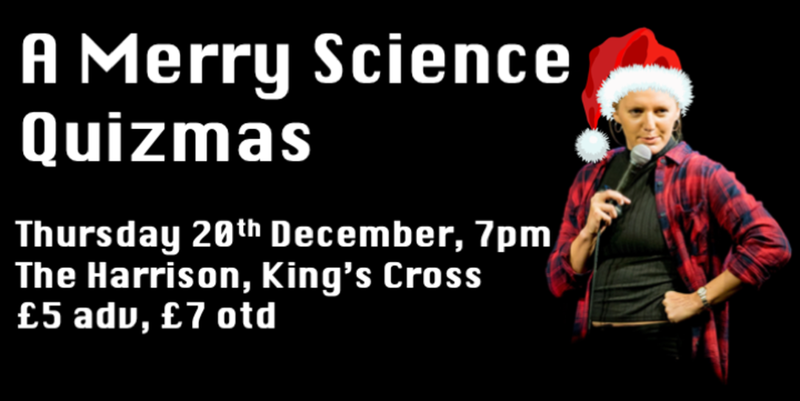 Join Anna Ploszajski and friends for an evening of quite competitive but still actually very enjoyable and low-pressure festive fun. Unfortunately the venue is downstairs so many not be accessible for everybody. Will it all be science questions? Science will only be very tangential to the proceedings. Do I need to wear fancy dress? It's not compulsary but tasteful self-decoration is encouraged. Anna Ploszajski is an award winning materials scientist and stand-up comedian.